Samsung Electronics today recognized five of the best and brightest computer science and engineering students in the U.S. as it announced the inaugural class of the Samsung PhD Fellowship. Each student will receive a Fellowship award of $50,000 as well as mentorship to support their ground-breaking research. The new PhD Fellowship program rewards those who dare to innovate. Jointly sponsored by Samsung Semiconductor and the Samsung Strategy and Innovation Center (SSIC), the program recognizes outstanding Ph.D. students working in five areas: Software and Memory System Solutions for Data Centers; Low-Power CPU and System IP Architecture and Designs; Advanced Semiconductor Devices, Materials and Simulation; Internet of Things; and Smart Machines. 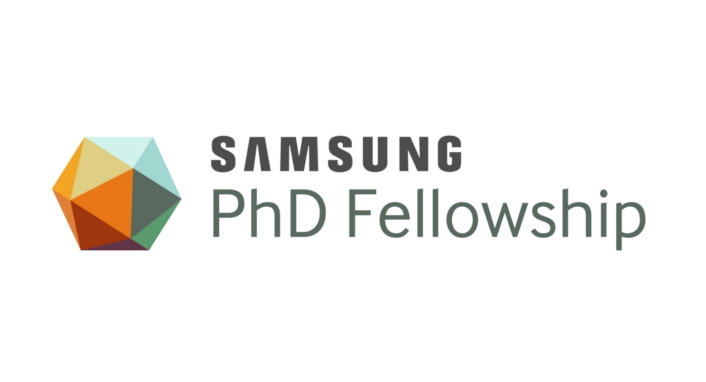 Samsung launched the Fellowship program with a call for partner universities to nominate outstanding students working on the above topics. Twelve of the best-qualified nominees were selected as Finalists and invited to showcase events at the new headquarters in Silicon Valley or at the Samsung Austin R&D Center. Each student Finalist presented his or her research proposal to an audience of Samsung engineers, Lab directors, and innovation leaders and met many of them for interviews as well. Following these events, the five Fellows were selected from this terrific group. Each Fellow will be connected to an engineer from one of the Samsung Semiconductor or SSIC Labs in Silicon Valley or Austin. This mentor will provide an industry perspective on their research and will invite the student to join Samsung for an internship. SSIC is a global organization with the core missions of open innovation in collaboration with entrepreneurs and strategic partners, investments in disruptive technologies and startups, and new business creation through M&A and partnerships. With offices in Silicon Valley, Korea, Israel, France and the U.K., SSIC’s focus areas include cloud infrastructure, smart health, Internet of Things and smart machines. Samsung Semiconductor, Inc., based in a new state-of-the-art headquarters in the heart of Silicon Valley, is a multi-billion dollar subsidiary of Samsung Electronics Co., Ltd. The organization provides the world’s most advanced technology for use in smartphones, consumer electronics, computing platforms, as well as servers and other data center infrastructure. Among the products developed and sold by Samsung Semiconductor are state-of-the-art memory, logic, solid state drives, LED components and LCD/OLED displays, which are enabling today’s most efficient, connected digital devices. Samsung Semiconductor also has a research and innovation center with numerous labs contributing to research and product design in logic, memory, image sensors, displays and mobile technologies.